Up in the top left are France, Germany, Japan, and other traditional allies. 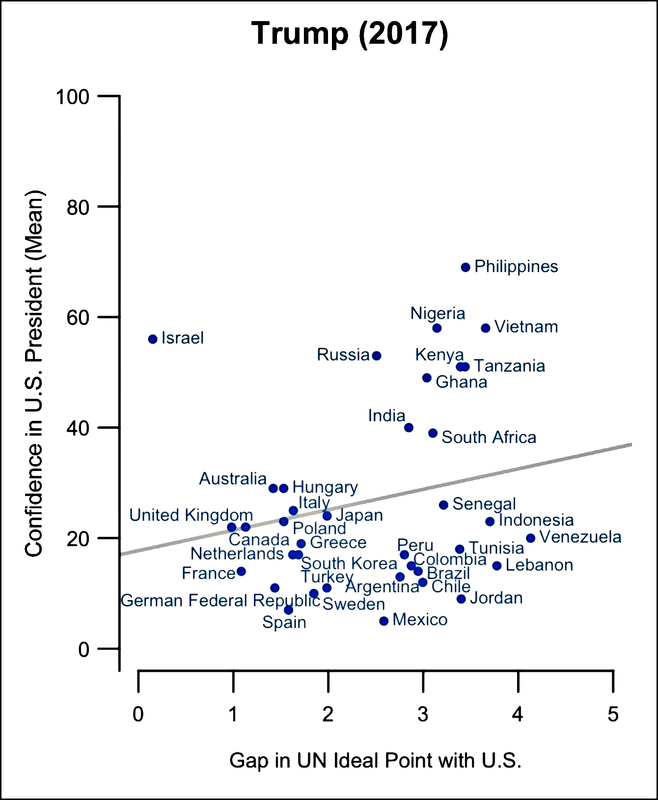 In those countries, confidence in the US president is high. Conversely, in the lower right you find Turkey, Venezuela, Russia, and other countries that are either fickle allies or outright antagonists. 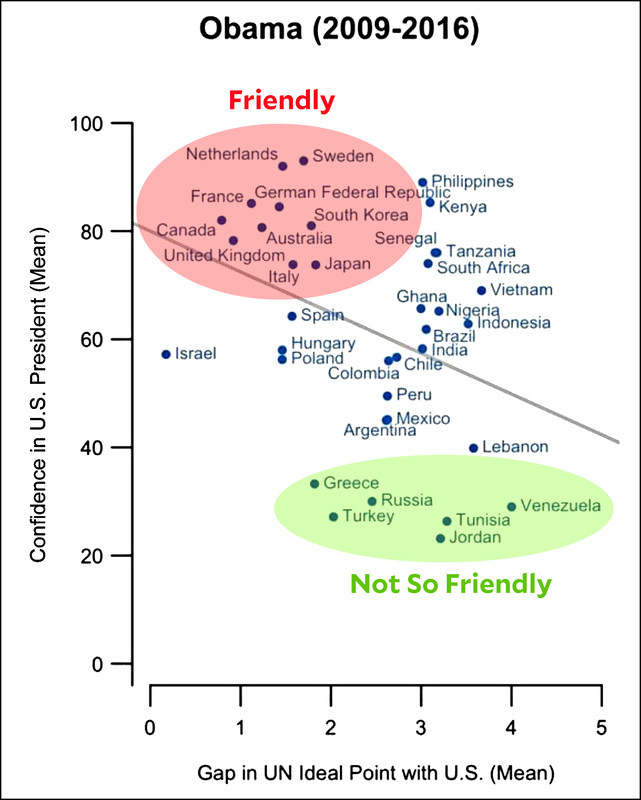 In those countries, confidence in the US president is low. Everything has plummeted. Practically everyone has low confidence in Donald Trump, and the very few with confidence above 40 percent are countries like Russia, Vietnam, and South Africa, which haven’t traditionally been close allies. Even the Israeli public has slightly less confidence in Trump than they did in Obama. Under Obama, three-quarters of the world had at least 50 percent confidence that he’d do the right thing. Under Trump, less than one quarter of the world trusts him to do the right thing. The big outlier (surprise!) is Russia, which likes Trump a lot more than Obama. I wonder why?